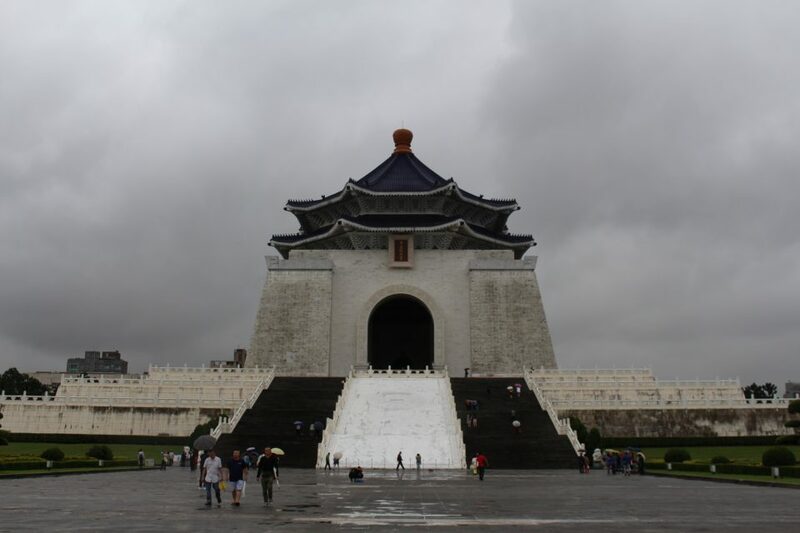 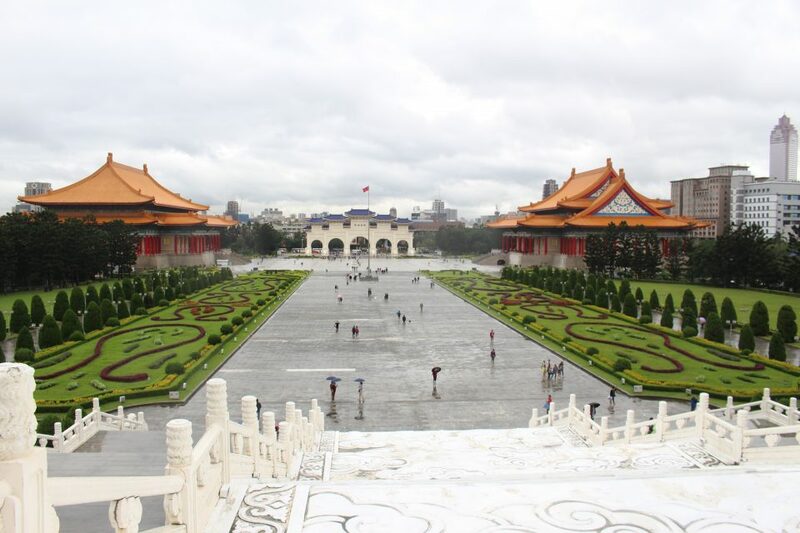 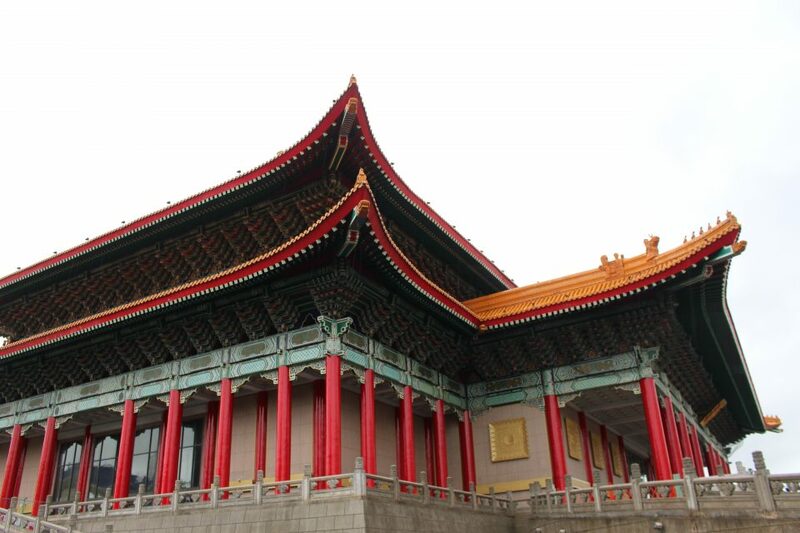 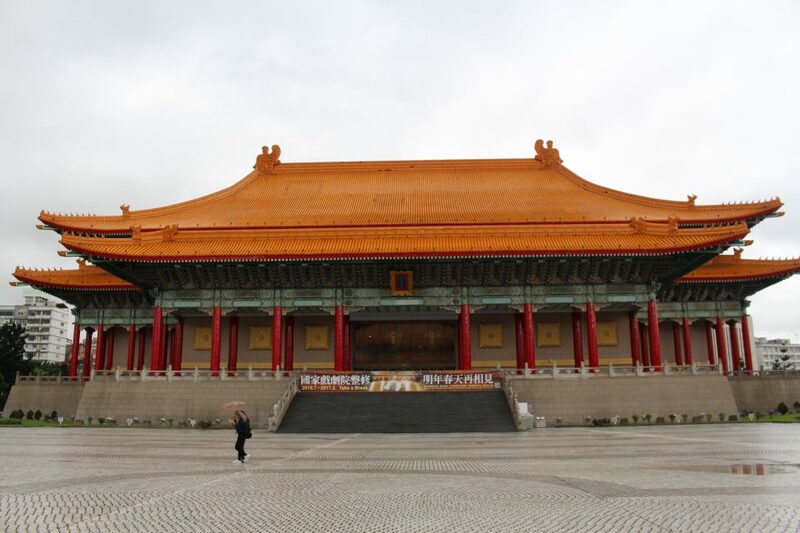 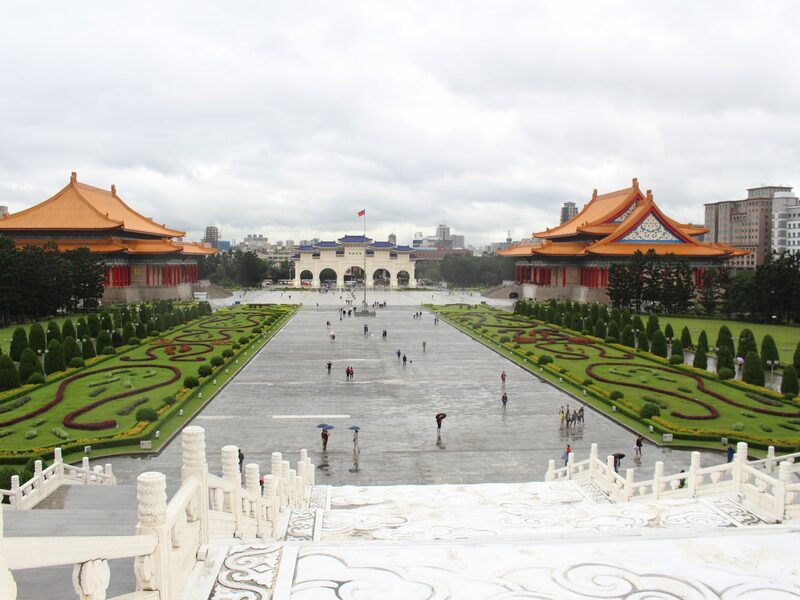 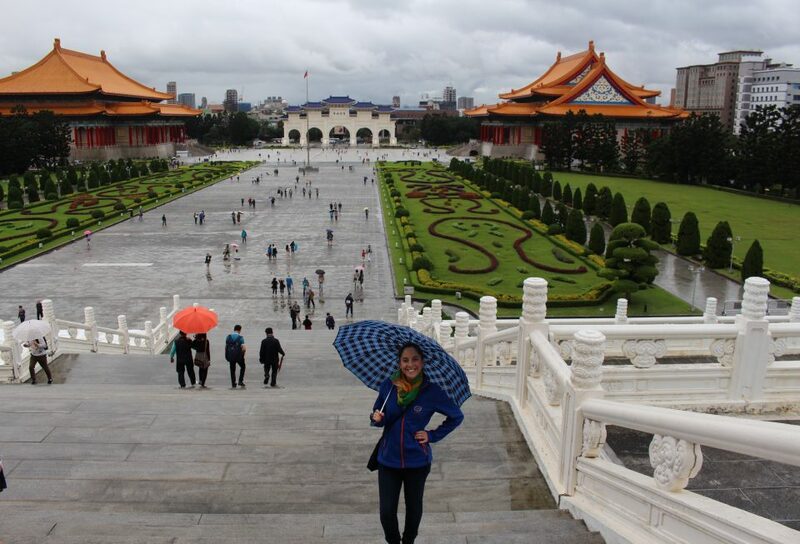 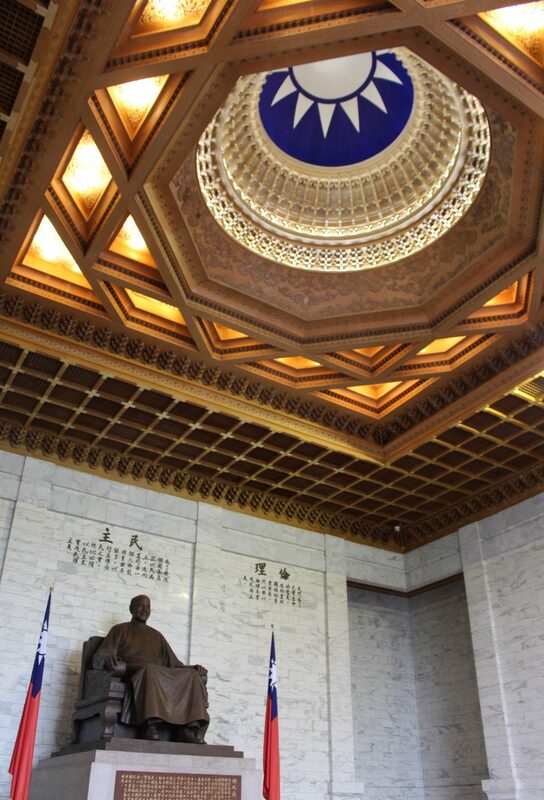 Not letting the rain get the advantage, our first stop in Taipei leads us to a national monument: Chiang Kai-shek Memorial Hall, in memory of the former Taiwanese president. 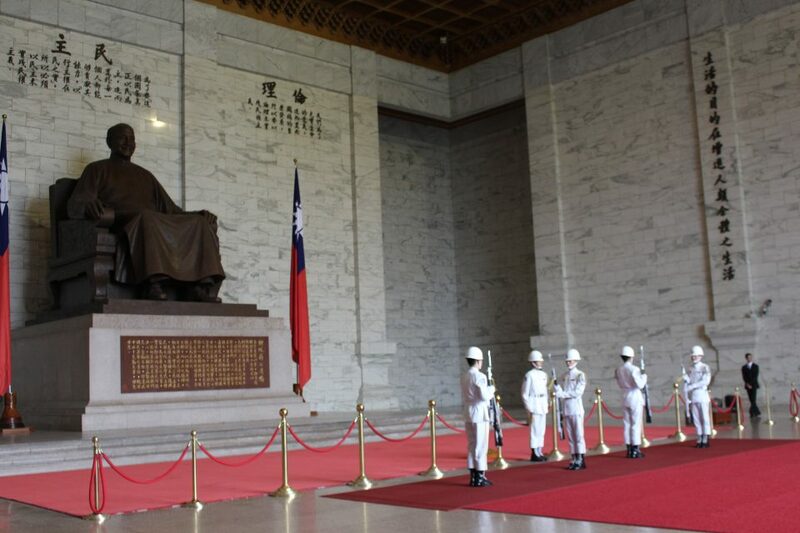 And we were just in time to watch the elaborate changing of the guards! 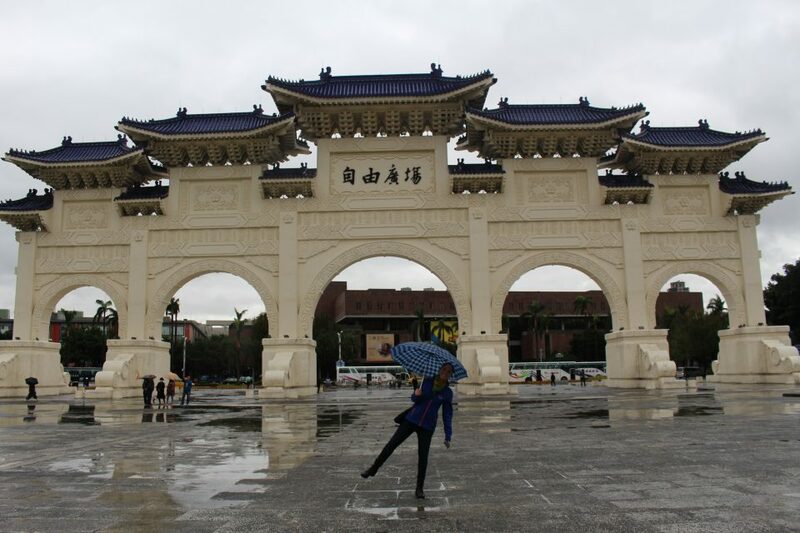 In the nearby 2-28 Peace Park, we took a refreshing stroll in the misty air. 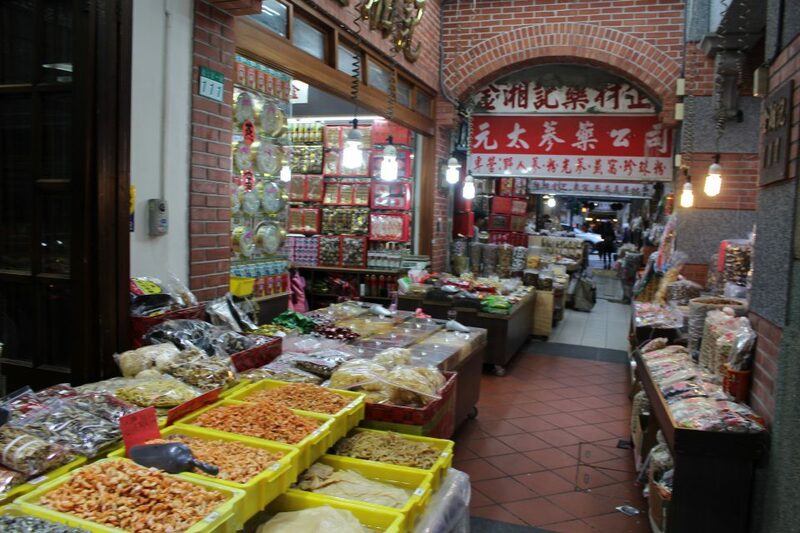 A subway ride later on Dihua Street, we explored hundreds of small shops selling textiles and dried foods. 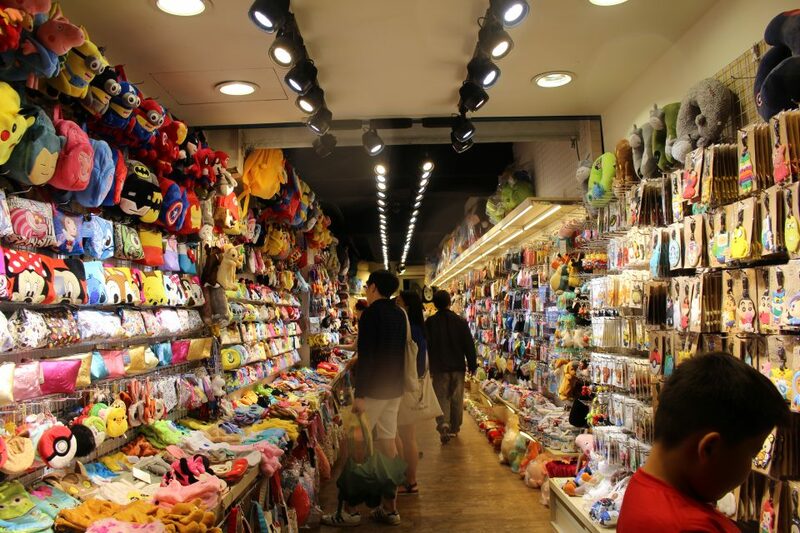 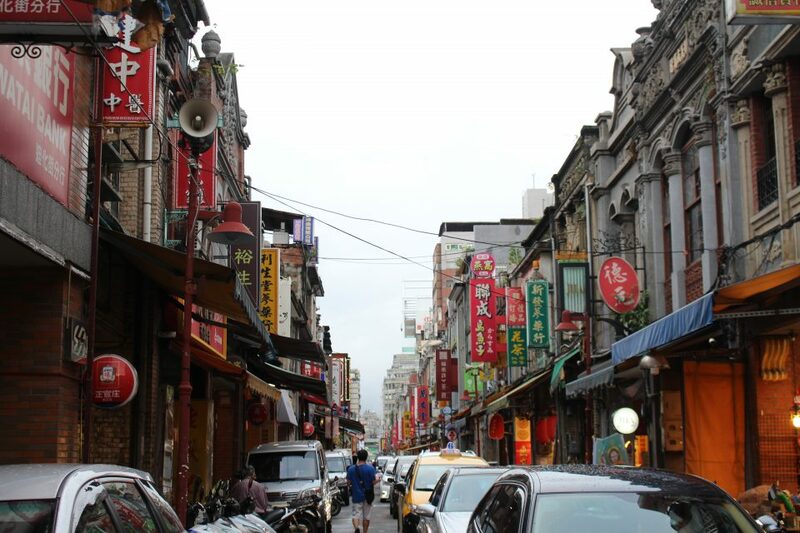 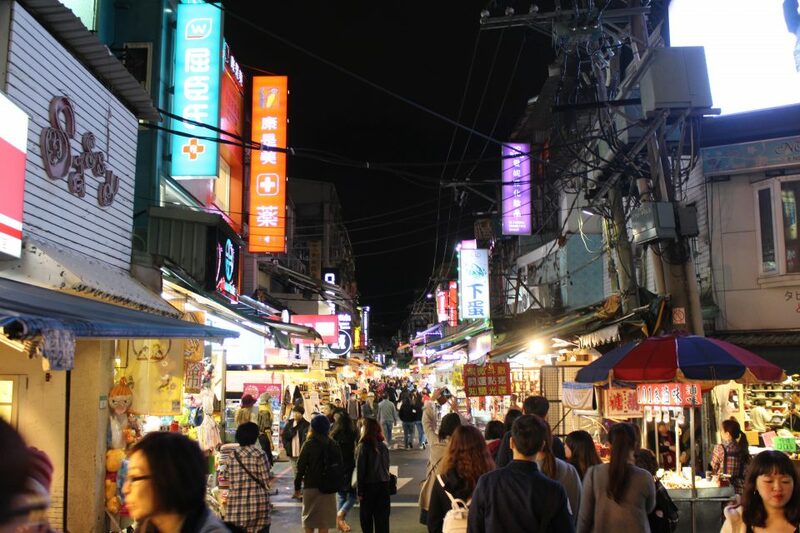 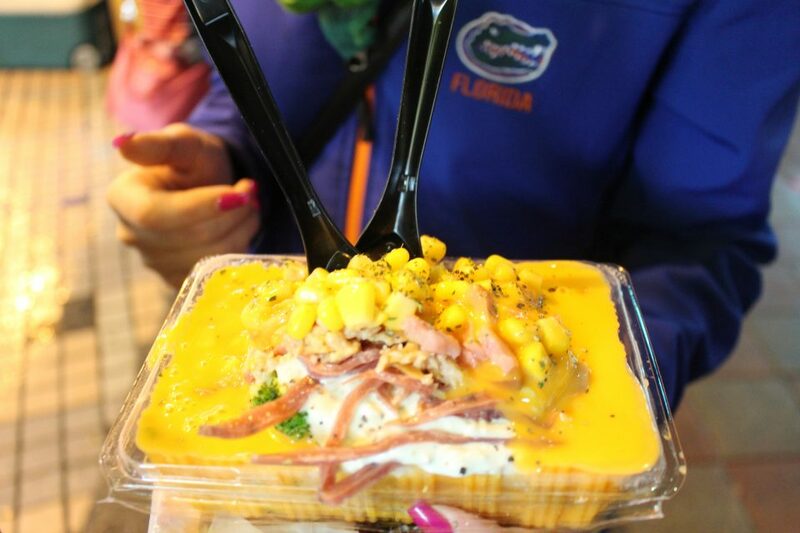 Lastly, at night, we visited the Shilin Market for some window shopping and street food dinner! 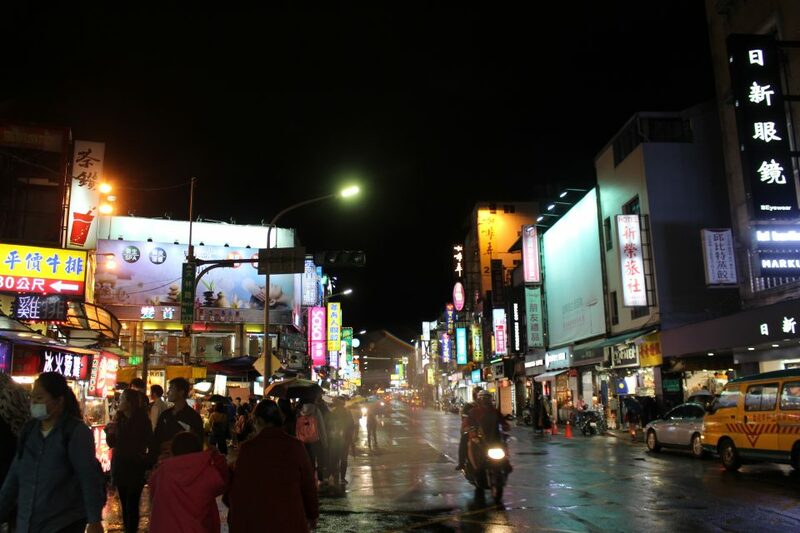 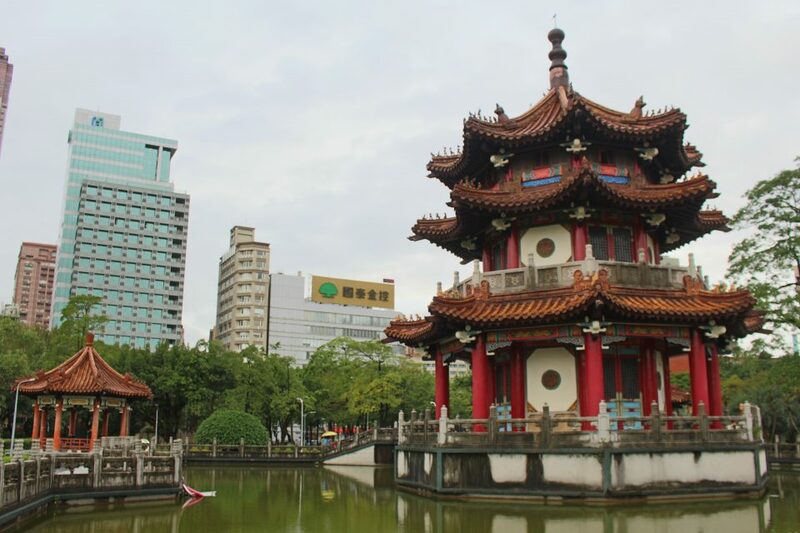 We’re really impressed so far with Taipei and Taiwan, great options if you’re interested in convenient and friendly traveling in Asia!